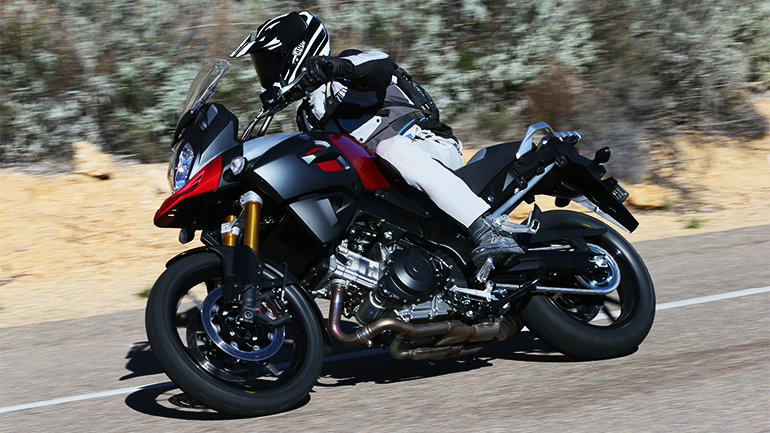 Conquering the city traffic is as easy as scaling mountains with the 2016 Suzuki V-Strom 1000 ABS Adventure. It features a fuel-injected, V-twin engine made for mid-range and low torque. It is also the pioneering bike with the traction control feature among the Suzuki models- a key feature of its versatile performance. It’s packed with accessories that will help you handle any terrain including a touring windscreen, side-mounted cases, and hand-guards. There is no compromise in this machine. 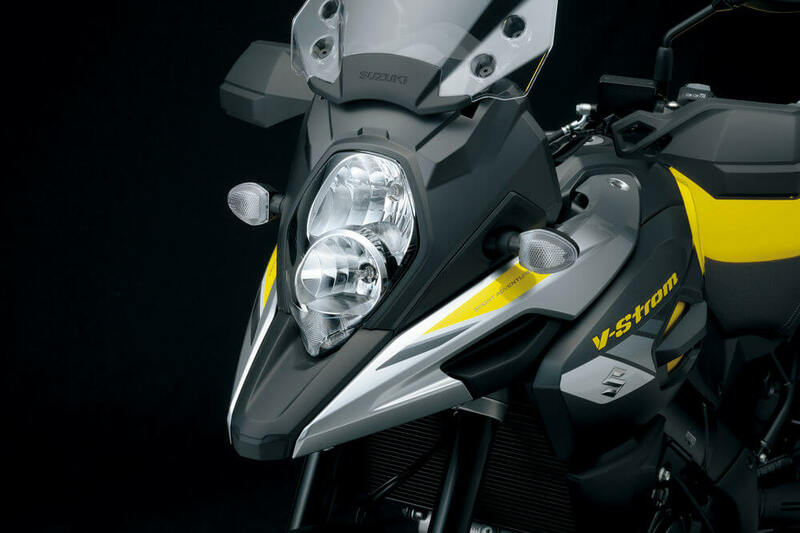 Let’s focus on the 2016 Suzuki V-Strom 1000 ABS Adventure Review to know the technical details of the bike. 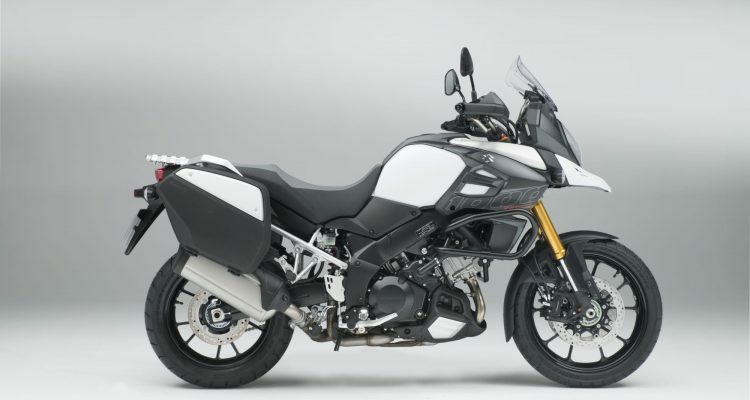 The V-Strom 1000 Adventure comes with high standard accessories including accessory bar, decal set, lower cowling, knuckle guards, integrated side cases and tank pad. 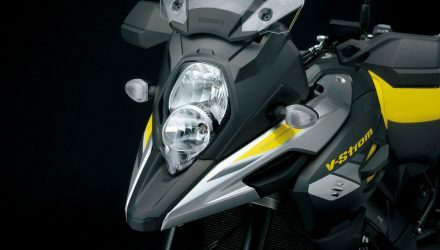 Totally revamped the liquid-cooled V-Twin engine has a capacity of 1000cc and produces unforced acceleration along with the strong V-Twin rumble. the chassis are made of a slim aluminum frame. It also features an adjustable windscreen that makes the ride fun, comfortable and easy coupled with a thickly padded seat. The radial front brake caliper with an Antilock Brake System instill confidence to the rider in braking no matter the road condition. 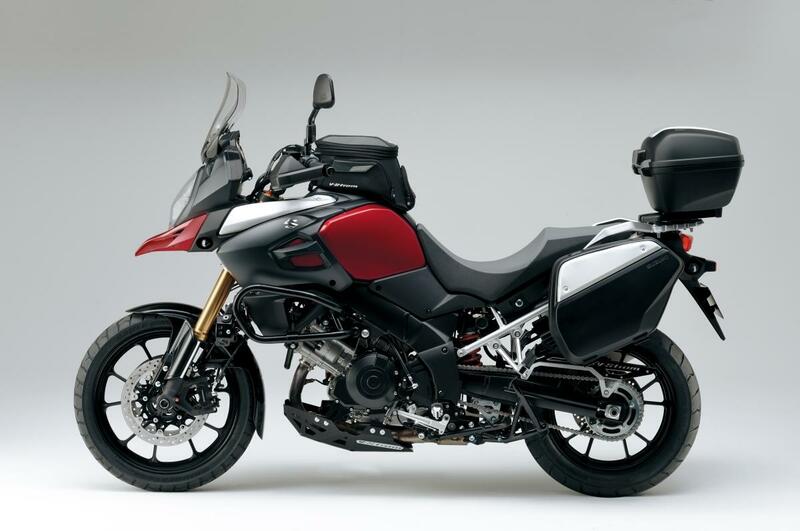 The V-Strom 1000 ABS features a single shock rear suspension and a front fork. 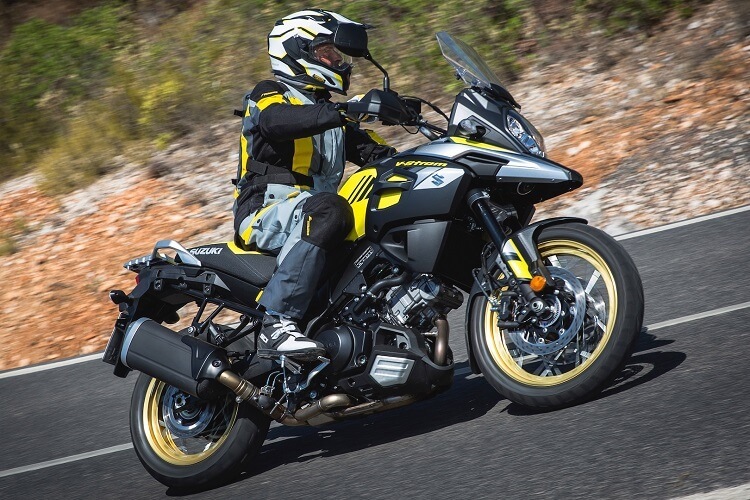 Performance-inspired V-Strom 1000 ABS resembles the 1988 DR750S-the first Suzuki’s big machine that was suited for on and off-road rides. This model has a distinctive and bold styling that commands respect and creates an unrivaled presence. 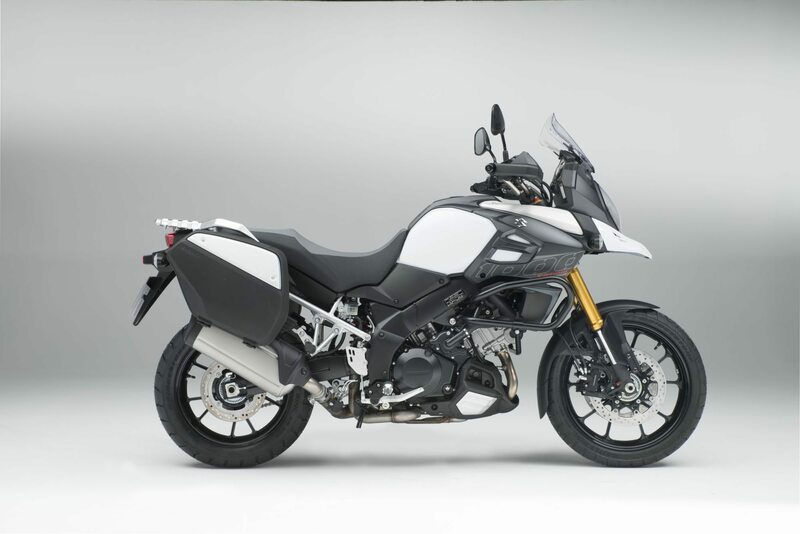 This advanced traction control system from Suzuki is equipped to enhance performance, sports riding, and confidence to negotiate slippery roads. 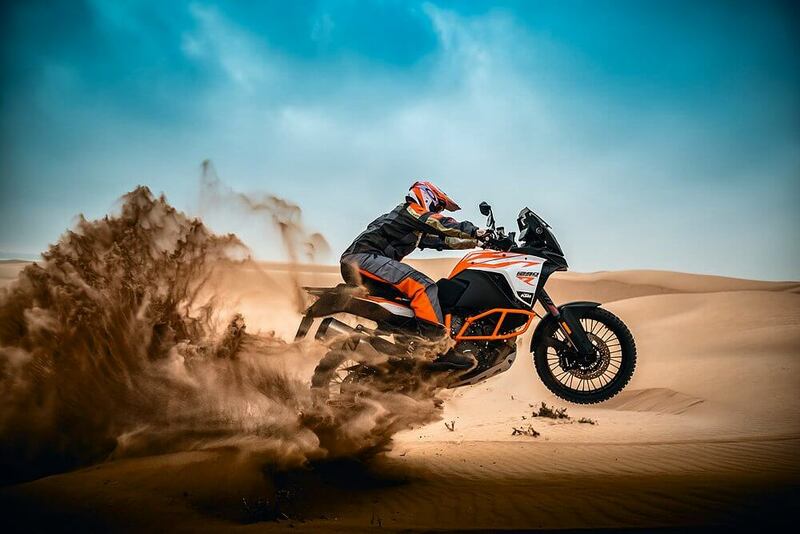 The Engine- it is liquid cooled, has 1037ccc 90-degree, and is designed to deliver sheer performance on the roads. Its pistons were engineered using the FEM analysis in order to achieve an ideal weight and rigidity. The standard V-Strom 1000 ABS has a market price of $12,699.00 in the USA.